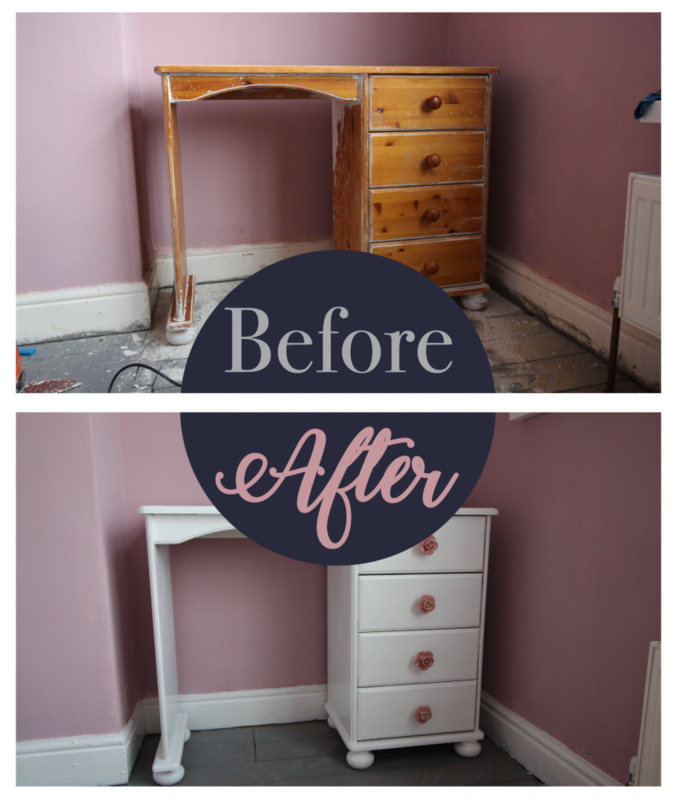 Over the last few years and attempts at upcycling, I’ve learned that the number one most important thing is to give a good sanding. Sanding is boring but believe me when I say it’s worth doing well. 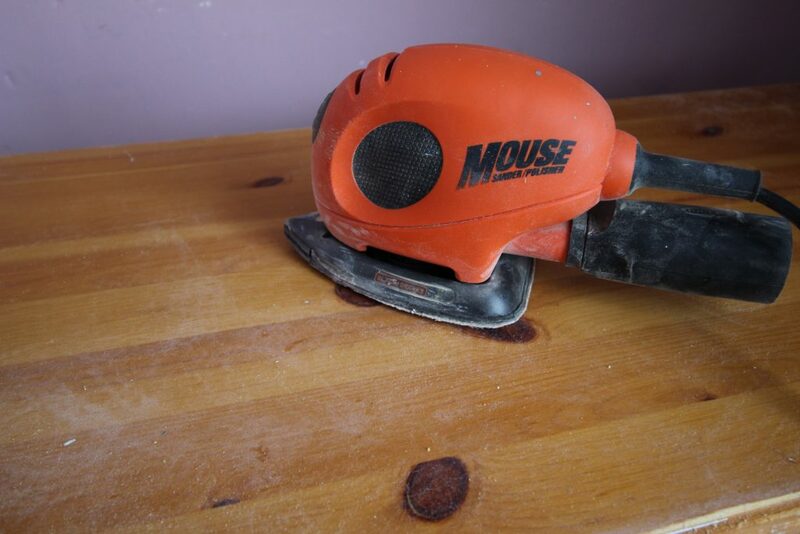 I use my Black & Decker Mouse, which is so much easier than using a sheet of sanding paper. 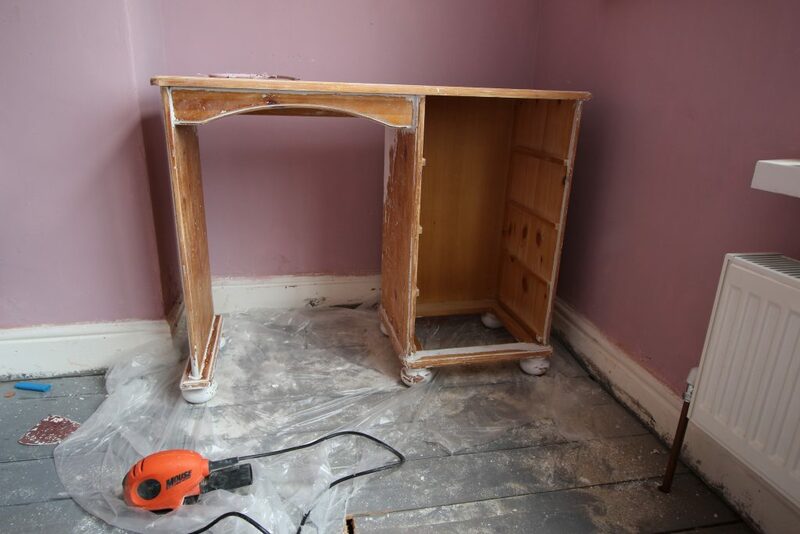 The better you sand it, the better your finish will be. Most importantly, the more hard wearing the finished product will be. 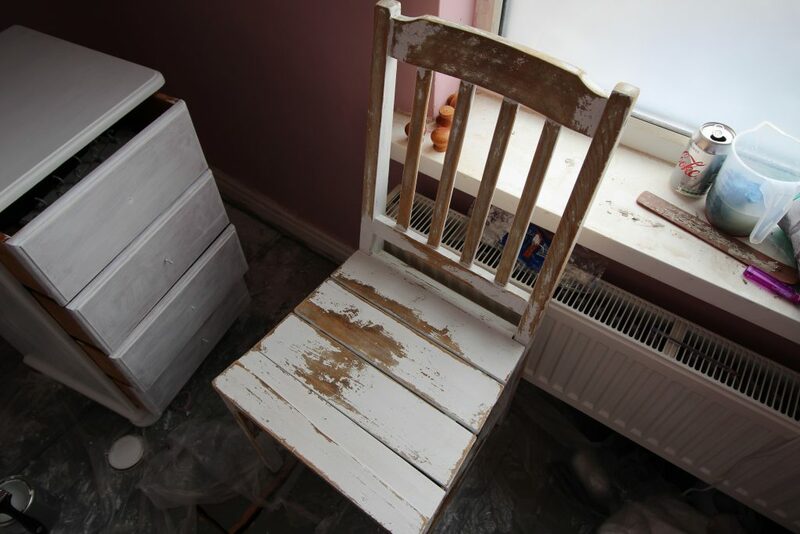 Without sanding, just a slight knock will cause your paint to chip. 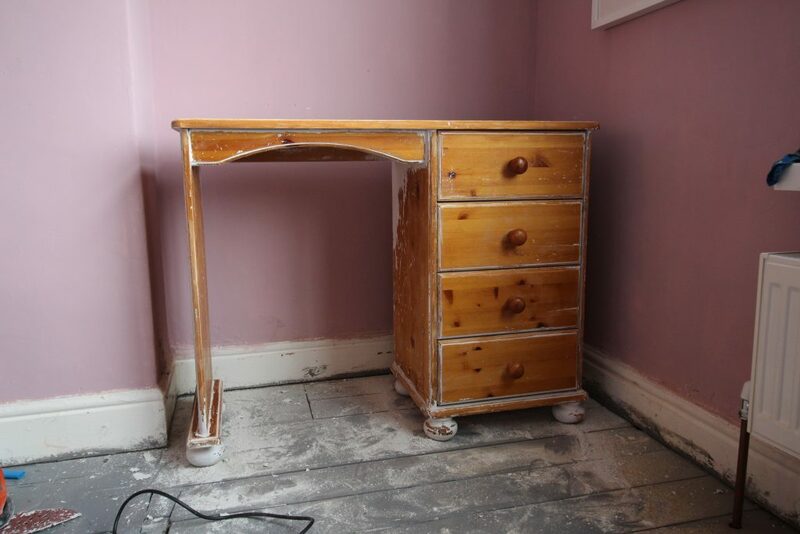 Once you’ve sanded your furniture you’re halfway there! 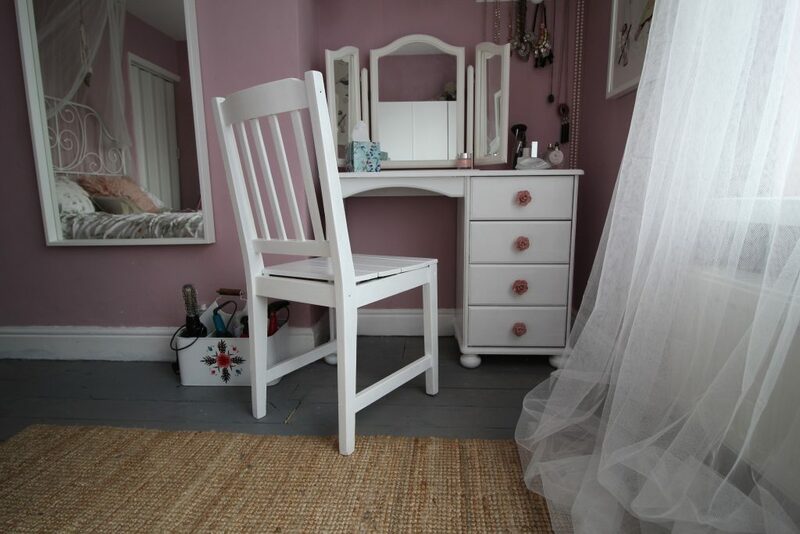 After sanding the dressing table (and the chair), I vacuumed and wiped them down with a damp cloth. Then it was time to start painting. 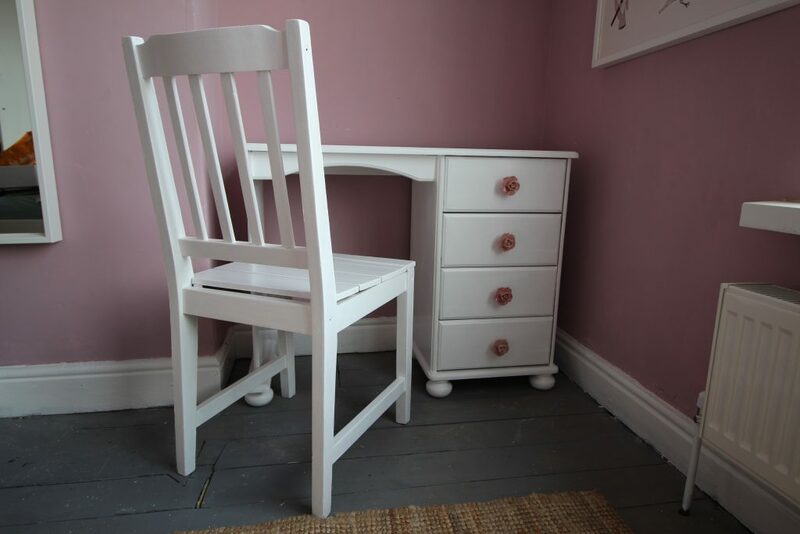 I used Rustoleum satin finish furniture paint again. I’ve used it for a number of projects recently because it gives a great finish. I also love that it has a satin finish so I don’t have to bother with finishing waxes. I bought it when it was on special offer in B&Q with two tins for £24, rather than the usual £20 for one tin. I’ve found with all of the colours in this range that they’re quite thin, so you normally need to do four or more coats. 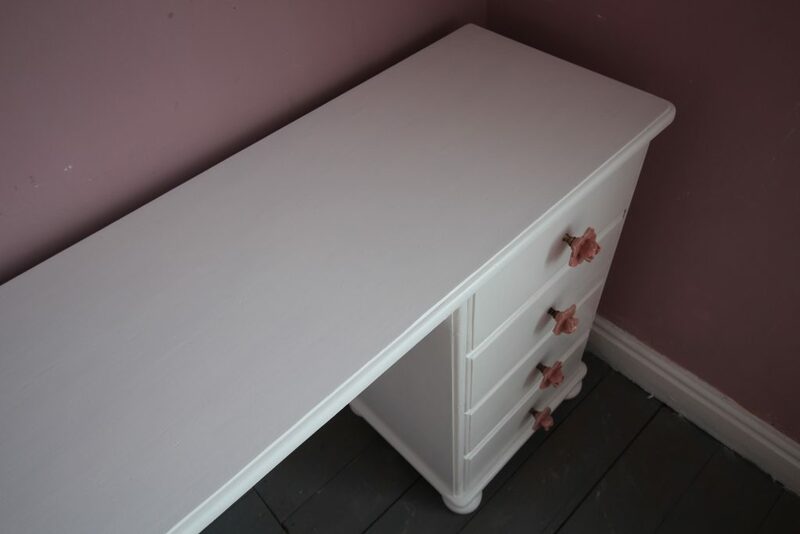 It dries quickly though so pretty much by the time you’ve finished one coat you can start back at the starting point with another coat. 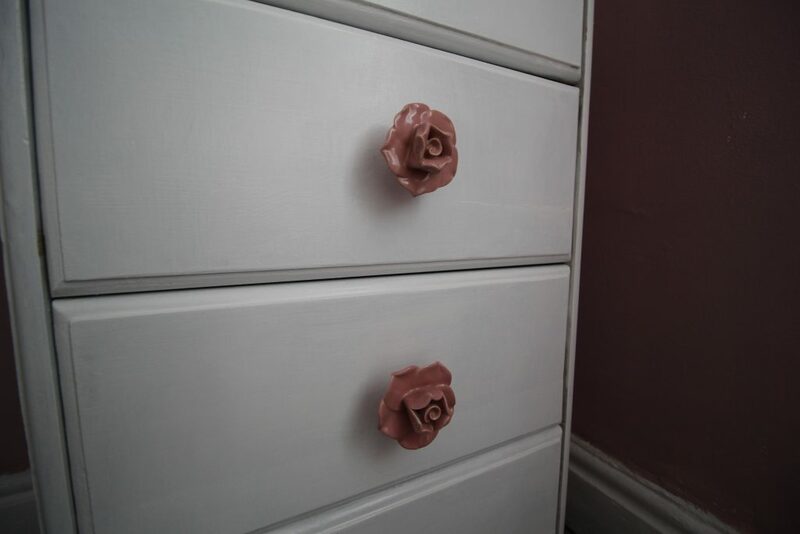 Once I’d finished painting (it took about half a tin to get the finish I wanted), all that was left to do was fit new handles. I bought mine a few years ago, for about £2 each. Handles can be expensive depending on what look you’re going for, but I suggest checking out eBay. If you’re not in a hurry to get them, you can get most styles from China for a fraction of the usual cost. 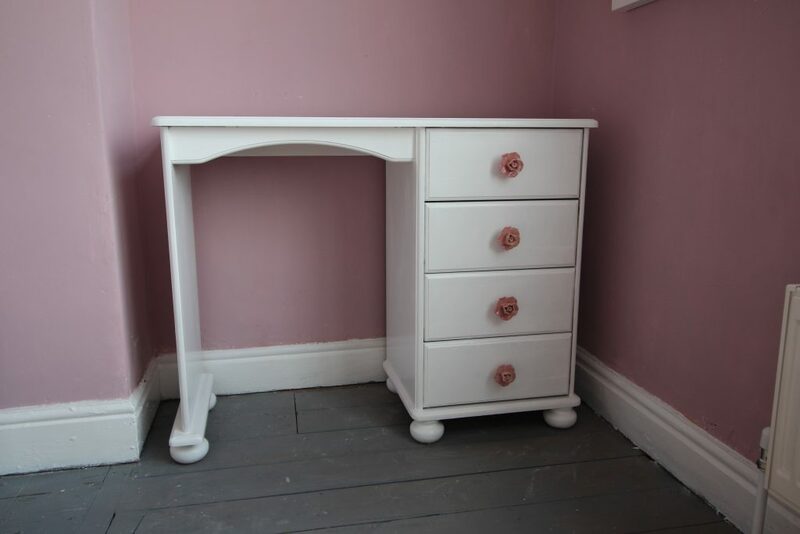 All in all, it took me one afternoon, half a tin of paint and four flowery drawer knobs to upcyle and revamp my tired old dressing table and chair and they’ve never looked better! Lovely job!! can you come and do my house? Once I’ve finished my own!